Interested in 25+ copies? Check out our Bulk Order Options and Volume Pricing. "Tom is the David Ogilvy of cartooning." From the birth of social media to digital advertising to personal branding, marketing has transformed in the past 15 years. 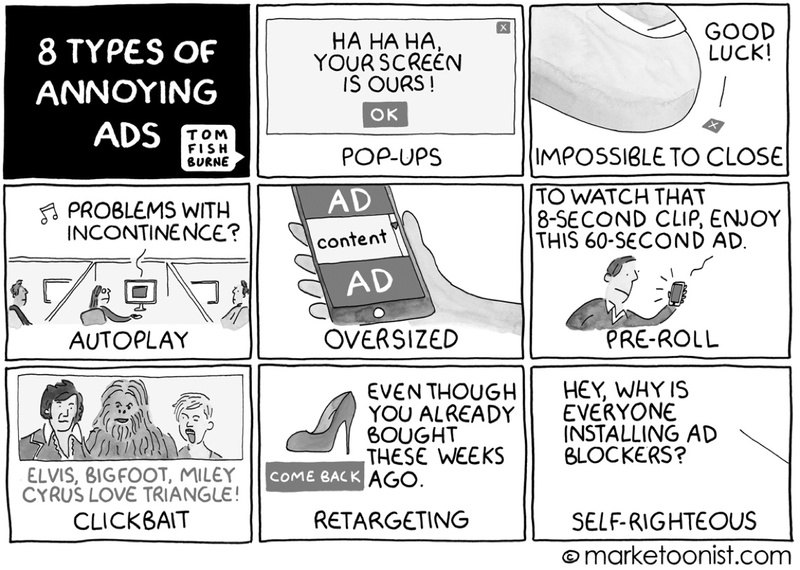 Capturing these quintessential moments in marketing is Marketoonist, a popular cartoon series from veteran marketer Tom Fishburne. Your Ad Ignored Here collects nearly 200 of these hilarious and apt depictions of marketing life on the 15th anniversary of the series. Tom Fishburne began to doodle his observations in 2002 when working in the trenches of marketing. Initially intended for co-workers, they are now read by hundreds of thousands of marketers every week. 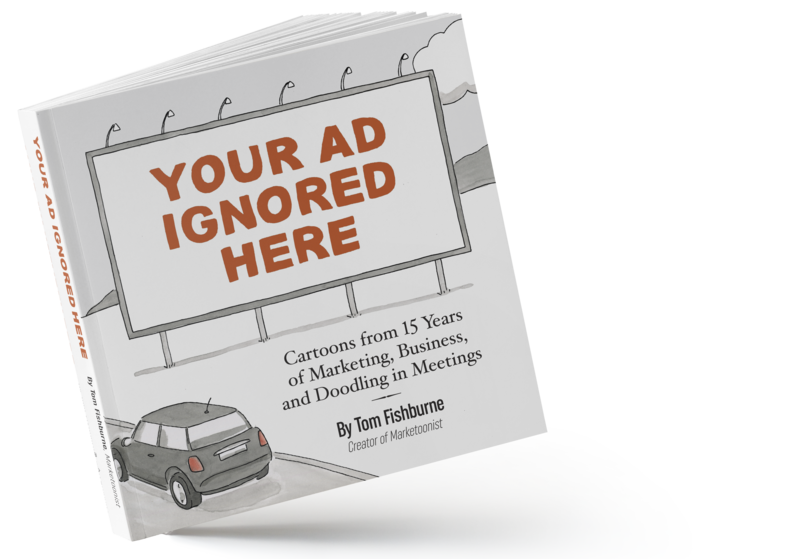 Packed with nearly 200 cartoons and led by a foreword from Ann Handley and an introduction from Tom Fishburne, Your Ad Ignored Here captures the quintessential moments in the last 15 years of marketing — handling a PR crisis, giving creative feedback to an agency, or avoiding idea killers in innovation. "The man behind the Marketoonist on bringing marketers’ bugbears to life — ahead of the Marketoonist’s 15th anniversary, we ask Tom Fishburne how his illustrations have documented marketing’s evolution." "Laugh and learn at the same time. BTW, if you don’t laugh, you’re clueless, and the cartoon is about you." 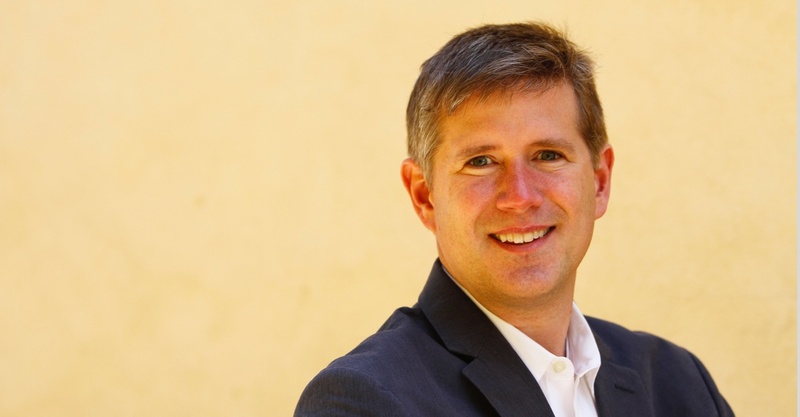 "Tom Fishburne has a knack for marketing humor (and truth) like no other." "Any great piece of comedy is funny because its true. Well, no one has gathered marketing truths through painfully awkward insights and hilarious delivery the way Tom has." 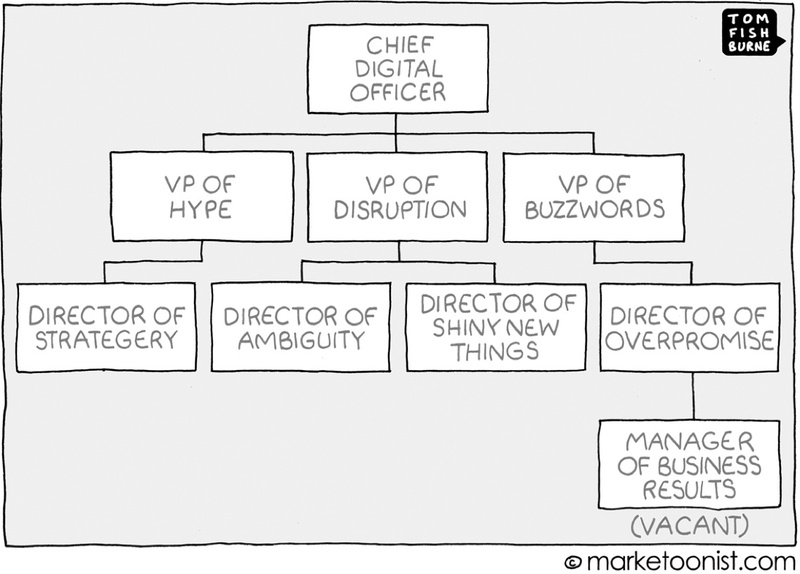 "If every cartoonist were really as wise and observant as they claim to be, then they would be Tom Fishburne." 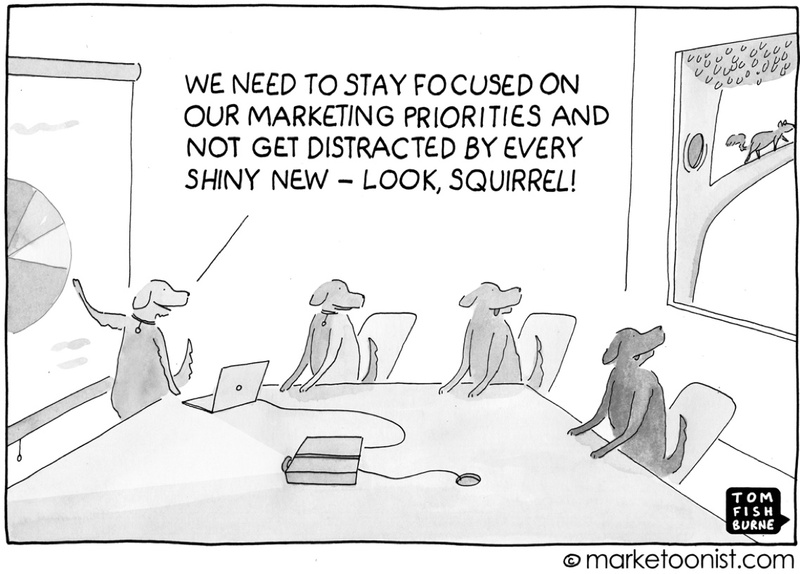 "No matter how much artificial intelligence we can access on our smart phones, or how many S.M.A.R.T objectives we set following our intelligence briefings, marketers still do plenty of dumb stuff. 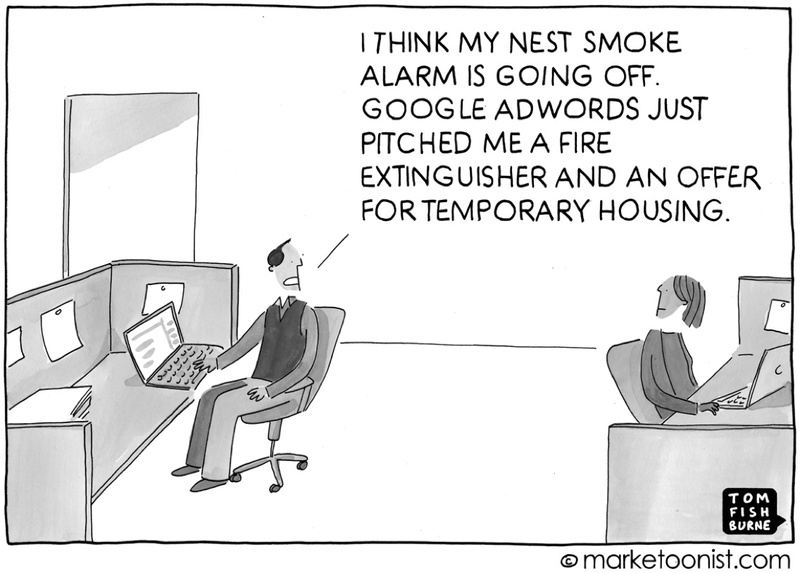 Tom Fishburne brilliantly burns us all with his charming work, and in so doing we learn. What a gift." "Once in a genre, an artist comes along with a special gift for humanizing our world. In the world of business books, that artist is cartoonist Tom Fishburne." 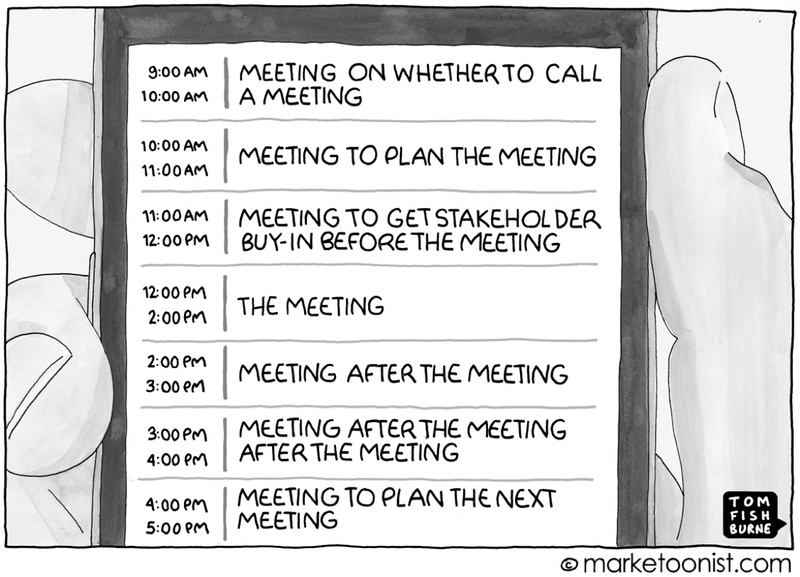 Tom Fishburne started drawing cartoons on the backs of business cases as a student at Harvard Business School. Fishburne’s Marketoonist cartoons have grown by word of mouth to reach hundreds of thousands of marketers every week and have been featured by The Wall Street Journal, Fast Company, and The New York Times. His cartoons have appeared on a billboard ad in Times Square, helped win a Guinness World Record, and turned up in a top-secret NSA presentation released by Edward Snowden. Fishburne draws (literally and figuratively) from 20 years in the marketing trenches in the US and Europe. He was Marketing VP at Method Products, Interim CMO at HotelTonight, and worked in brand management for Nestlé and General Mills. Fishburne developed web sites and digital campaigns for interactive agency iXL in the late 90s and started his marketing career selling advertising space for the first English-language magazine in Prague. In 2010, Fishburne expanded Marketoonist into a marketing agency focused on the unique medium of cartoons. 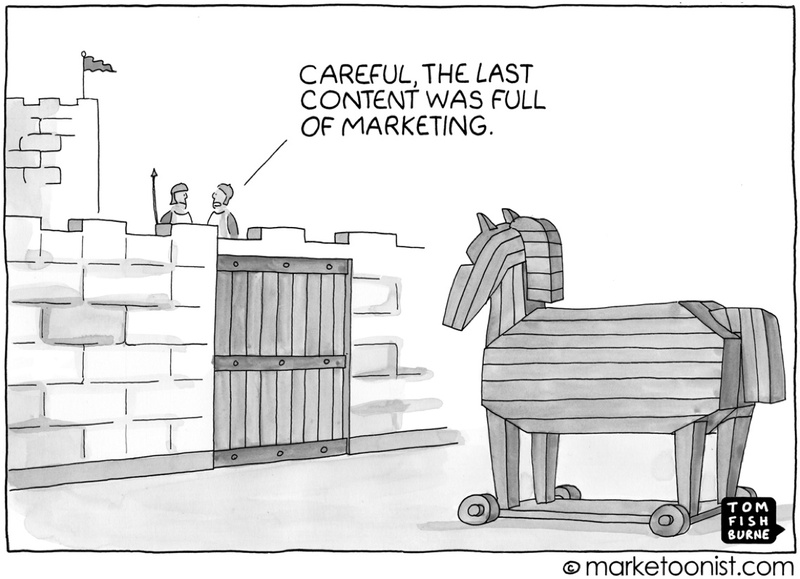 Since 2010, Marketoonist has developed visual content marketing campaigns for businesses such as Google, IBM, Kronos, and LinkedIn. Fishburne is a frequent keynote speaker on marketing, innovation, and creativity, using cartoons, case studies, and his marketing career to tell the story visually.